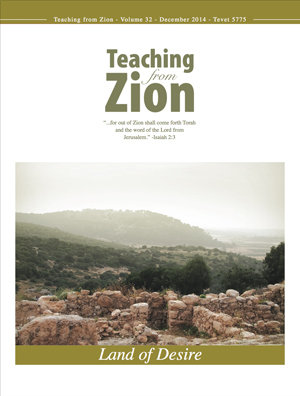 This issue of Teaching from Zion is about the Land of Israel and restoration. There are two main aspects to this topic: 1) The return of the Jewish people to the land and the rebuilding of the ancient cities according to prophecy. 2) The restoration of Israel’s spiritual heritage of Israel. The return to the Land brings a return to the basic biblical principles that in the Diaspora were not relevant. One of the most fabulous things in Israel is that many of the great leaders who have built the country, although not religious in Modern Orthodox Jewish terms, were great students of the Bible.